Get Karnataka Bulldozers vs Telugu Warriors Highlights, Photos and match report played on 24th January, 2015 at Hyderabad. Also get the post match ceremony of Telugu Warriors vs Karnataka Bulldozers CCL 2015 9th T20, final scorecard and result. 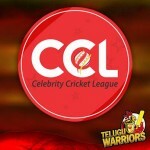 This was the last match of group stage for both teams, and both have managed to get a spot in semi final matches of Celebrity Cricket League 2015. Telugu Warriors won the toss and elected to bat first and this decision was taken by the skipper Akhil. Karnataka Bulldozers started to bat and the opening stand was a sensational scenario for them because they had a partnership of 55 runs between Pradeep and Rahul. Sharma scored 40 runs in 30 balls in which 4 boundaries are included. On the counter side, Sudeep remained the top scorer by Karnataka side as he scored 45 runs, Rajeev scores 14 runs. On the counter side, Telugu Warriors did a massive job as they have started to chase the target quite impressively. This team had an opening partnership of 84 runs, Prince made his excellent comeback in this match he scores his half century and played a match winning innings. Sudhir Babu also did a great job because he participated in such a way that was quite fruitful the Telugu Warriors team. All the credit goes to Prince who played a sort of entertaining innings and scored a mighty of the day.